Nigerian Army replaces spokesman – Royal Times of Nigeria. 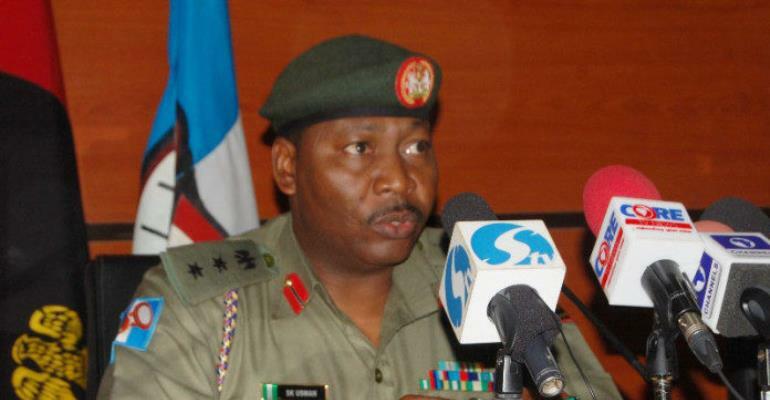 The Nigerian Army has named Brigadier General JTE Chukwu as its new spokesman. Brig-Gen Chukwu is replacing Brig-Gen Sani Usman who has been sent as participant for Senior Executive Course 40 at the Nigerian Institute of Policy and Strategic Studies (NIPSS) Kuru, Jos. The new Director of Army Public Relations, DAPR, until his appointment, was the Commandant, Nigerian Army School of Public Relations, NASPRI, Lagos. According to a statement signed by Brig-Gen Usman, the formal handing over ceremony to the new Director would be at the Army Heaquarters on Monday 26, February. The statement by Brig-Gen. Usman reads, “I am glad to inform you that I have been nominated to attend Senior Executive Course 40 at the prestigious National Institute for Policy and Strategic Studies (NIPSS), Kuru, Jos. “Accordingly, Brigadier General JTE Chukwu has been appointed as the new Director Army Public Relations, while Colonel MA Anka has been appointed Commandant, NASPRI. “The formal handing and taking over between Jude and I will take place at the Army Headquarters Conference Room on Monday 26 February 2018. Further details would be communicated to you. “I want to thank you all for your kind support, cooperation and understanding throughout my tenure as DAPR.